Hello and Happy Sunday! I feel like I have been missing in action for a little while after being in Florida for vacation and for Stampin’ Up! Onstage. I’m finally back home and getting back into my routine again. Whew! This week over at The Paper Players, the lovely and talented LeAnne has a fun theme challenge for us: Sweet Treats. It’s also CAS (Clean-and-Simple) week, or as I like to call it: Can I attempt to make a card using less than 6 layers week? 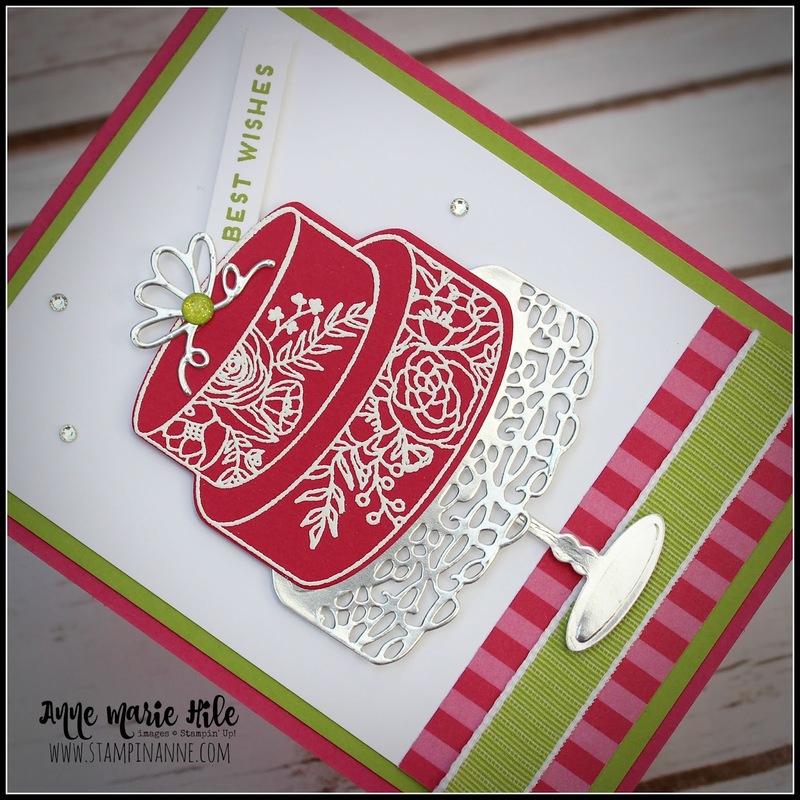 When I saw the theme for the week, I knew I wanted to use the Cake Soiree stamp set, as my supply of birthday cards was getting a little light. You can never have too many birthday cards on hand, right? 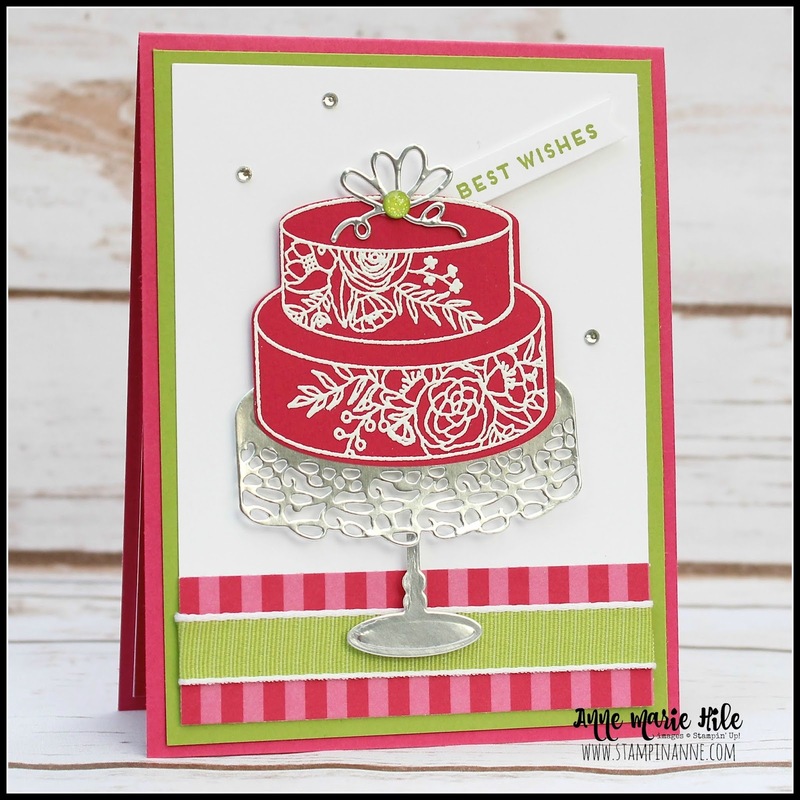 This stamp set and coordinating Framelits, make it easy to create a lot of detail with not a lot of work. I did heat emboss the stamped image on the cake to keep the continuity of the shine from the foil paper and bling. My color combo is Lovely Lipstick, Granny Apple Green and Melon Mambo. More on that below. So, I have to share a funny story. 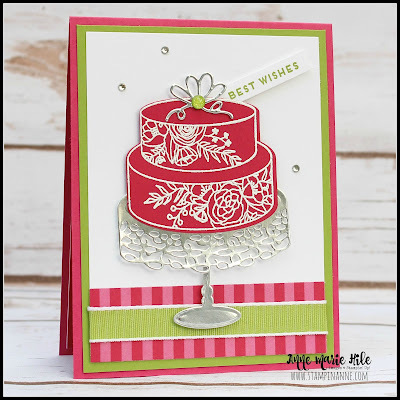 In my stamp studio, I keep a box full of cut and scored card bases sorted by all of the Stampin’ Up! colors. It makes it really easy UNLESS you put the colors in the wrong spot like I did. I thought I was grabbing a Lovely Lipstick card base and it was only after I added the cake to my card that I realized that it was Melon Mambo. But like Bob Ross used to say, there are no mistakes, just “happy accidents.” So, I’m going with that! 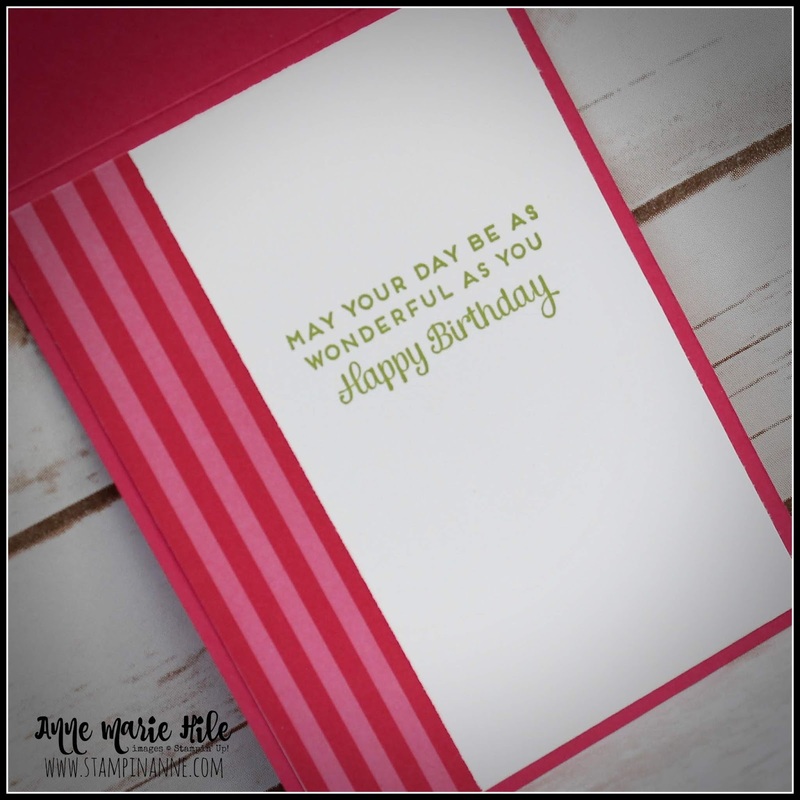 The Melon Mambo kind of works with the lighter stripes in the Lovely Lipstick Designer Series Paper, don’t you think? Maybe? I wasn’t going to rip the card apart to start over, so I just made it work. Just let that beautiful, heat-embossed cake distract from that little detail. Haha! Lovely Lipstick Designer Series Paper - 1” x 3-3/4"
Finally here is a quick look at the inside of the card sharing a sweet birthday sentiment. 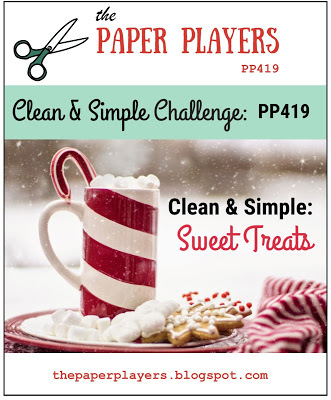 You can link up your project through Friday November 23rd, 2018 at Noon PST.